My little girl loves playing outside but I’ve noticed over the years that many of her outdoor toys become damaged and discoloured from the elements of sun, wind and rain. While small toys can be put away in the shed, larger items have to stay outside to be battered about. Kev and the Folding Playhouse may have the solution for at least one garden toy and he tells me more about the development of the product from idea to the current concept model and plans for the future. The Folding Playhouse is what it says. It’s an outdoor plastic playhouse that folds down, either for storage or for conversion into an arts and craft table. It folds in around 15 seconds and can be reassembled just as quickly. Once completely folded, the Playhouse is not only easier to store in the garage or shed, it can be taken in the back of a large family car for fun at friends’ and relatives’ houses. The picture above shows a 3D printed miniature version of the Folding Playhouse. The final version will be in bright colours, about 1.5 m high, 1.4 m wide, 1.3 m deep, with the potential to customise with stickers or decals. With all new products, feedback is vital and there’s been plenty of that at Gadget Show Live as part of the British Inventors’ Project. 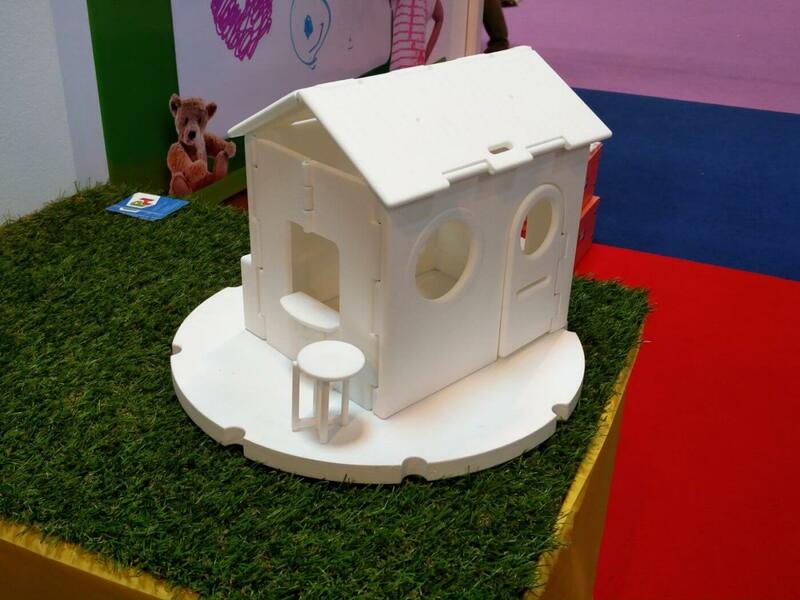 Kev and his team have been in contact with toy companies worldwide to bring the Playhouse market and the expectation is that this would sell for under GB£200. There’s more information on the Folding Playhouse website, which has some interesting market stats – did you know that 30 million outdoor toys were sold in the UK in 2014 generating nearly £350 million in sales?